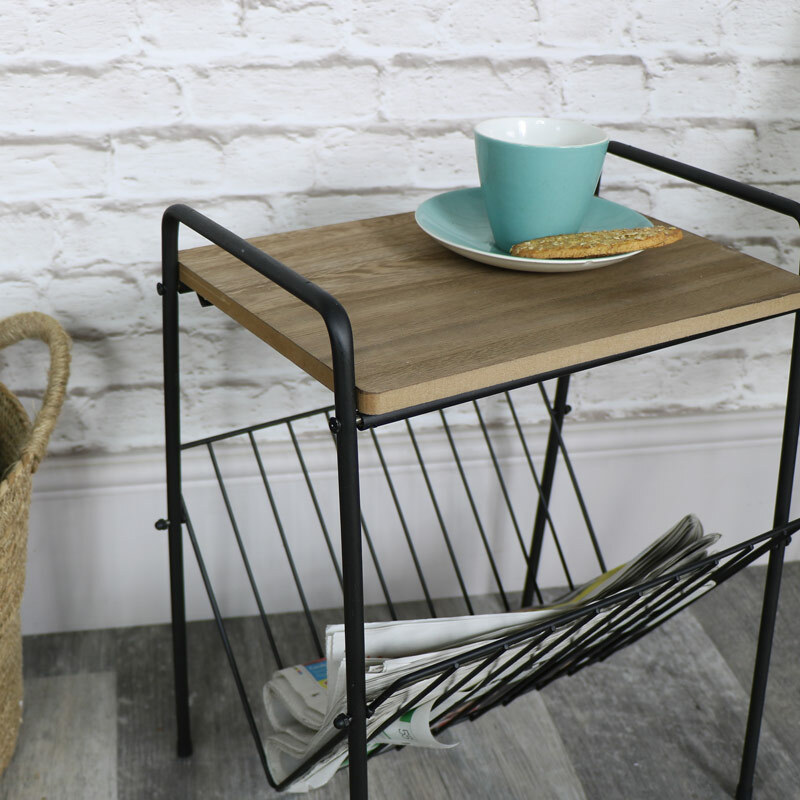 Keep yourself organised and tidy with this vintage retro style side table with handy magazine rack.A super stylish storage solution that would fit in with most decors. 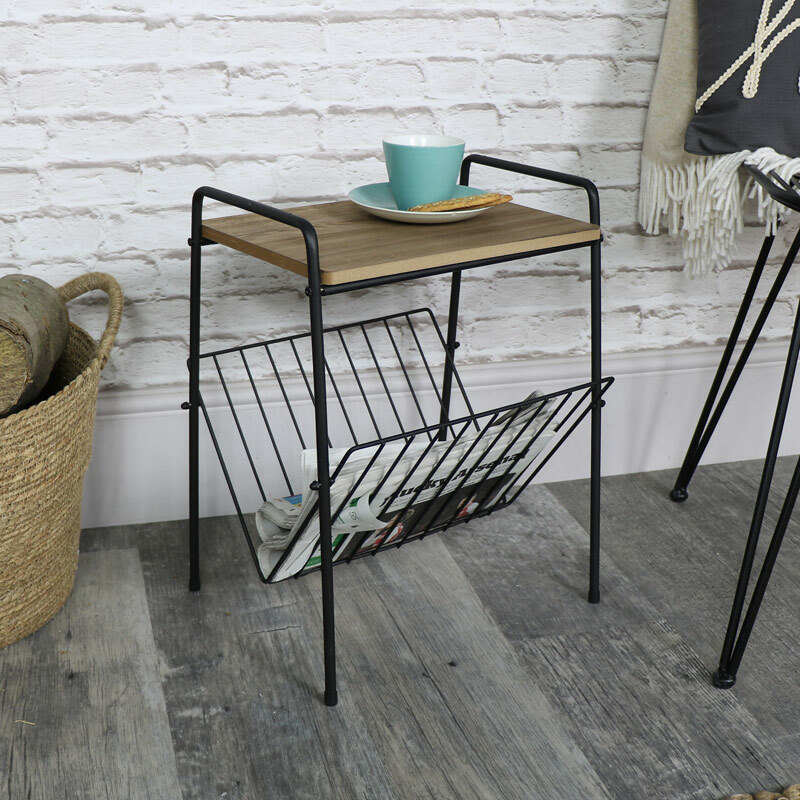 A great little side table with the added bonus of a magazine rack underneath for all your favourite magazines, daily newspapers and the odd book. 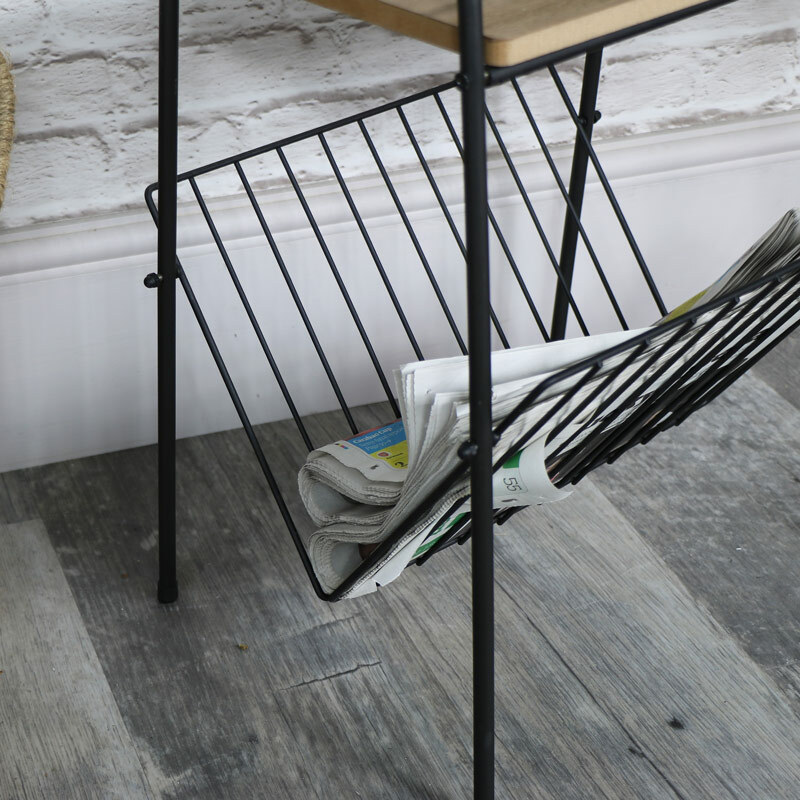 Just the right size for sitting at the and of the sofa, the table top is ideal for keeping a hot cuppa in reach whilst you browse through all the top stories in your favourite mag or curling up comfortably on the sofa with a good book. With a metal frame in a black painted finish, topped with a rustic wooden table top. In a great lightweight design, the table top measures 33cm x 24cm (width x depth). This table comes flat packed so does require assembly, just fix together with all the screws provided. With many more storage ideas, we have the perfect selection of racks and cabinets for you to choose from and accessorise your home in your own personal style.